We are delighted to welcome Wendy as a valuable member of our team (Summer, 2018). She has lived in the area since 2003 and knows the Winchester/Frederick County and Shenandoah County areas extremely well. 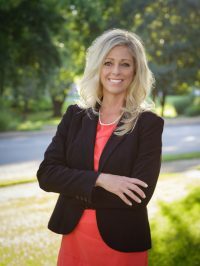 She’s been a licensed Realtor since 2015, and comes to us with a wealth of marketing and sales experience especially in working with retirees and senior citizens. She is committed to exceptional customer service. Wendy brings a unique and important area of expertise to our team that will be a huge help to some of our clients. She describes it best in her own words, “In my experience working at a retirement community and as a home care/home health liaison, I have grown keenly aware of the many issues facing seniors and their adult children in regards to safety or convenience of where they live. I have also developed an extensive network of resource partners in the region with whom I routinely collaborate to assist seniors and their loved ones as they navigate life changes and challenges.” So if you are a retiree looking to downsize or if a loved one needs help transitioning to a new home, Wendy’s expertise is just the support you are looking for. Wendy has four grown children and is very active in her church. She loves hiking and experiencing the beautiful vistas throughout the Shenandoah Valley. She also enjoys visiting the many wineries and breweries in the region. Her interests include new home construction as well as design and market trends. She is honored to be your trusted resource to guide you through the complex maze of options and decisions. So if you’re looking for a calm, caring, professional Realtor, give Wendy a call today.